The core secret of all Catalystformulations is Zinc Finger Technology. Zinc Finger Technology provides the tools the skin needs to repair DNA and cellular damage, as well as stimulate collagen production. 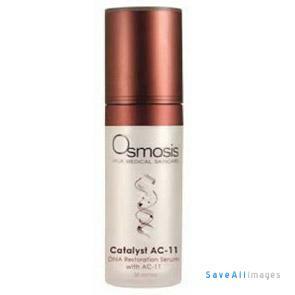 Catalyst AC-11 is the most potent version because it contains higher levels of Zinc Finger Technology and the research-proven DNA repair tool known as AC-11. AC-11 has been shown to increase DNA repair by 33%. In addition to the increase in potency, this version of Catalyst contains Aloe, Zinc and Vitamin E which makes it more soothing. The combination of technologies makes this a remarkable product for aging, capillaries, pigmentation, skin tags and more.